It seems that a lot of parents have one common problem. How to get our children away from the screen and back to natural activities, such as playing outdoors. 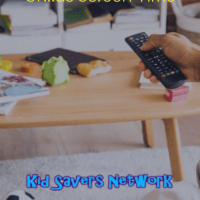 Kids under the age of six watch on average about 2 hours of screen time per day. Even worse, kids ages seven to eighteen watch about 4 hours per day. 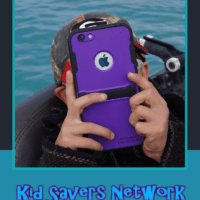 Too much screen time can be extremely harmful to our children. It can lead to obesity, having less energy and engaging in more risky behaviors as they get older. 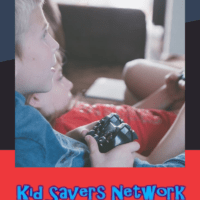 When kids also play video games for extended periods of time, it can make them irritable and moody. Sometimes, even impatient and selfish. If you notice these behavioral changes, it is time for a serious change. 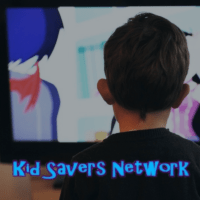 Read on to learn how to get your kids away from the screen before it is too late. Set a positive example for your children. If you watch too much TV or surf the internet all day long, how can you expect them to do differently? Children will gravitate towards the modeled behavior set by their parents. Instead, read a book or plan family activities that don’t involve screen time. 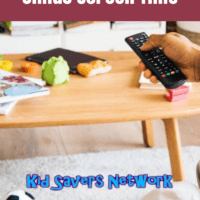 Set time limits for each of your children. Older kids might require screen time to complete school work. 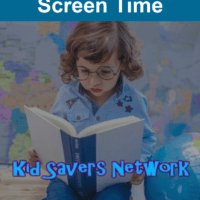 Take into consideration how much screen time each child needs compared to how much leisure time they should have each day. Also, ensure that screen time occurs only when homework and other daily activities, such as chores, are finished. Be sure to enforce the limits that you set. Allow your children to enroll in local sports teams or classes, such as gymnastics. This way, they are getting out of the house and doing physical activities with their peers. Many communities offer several sports teams for all ages and during all seasons of the year, as well. For children who don’t like sports so much, consider dance classes, music classes or art classes. Encourage your kids to take part in other activities, too. These activities could include crafts, writing and reading a good book. 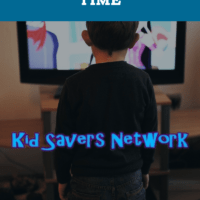 Don’t just encourage other activities in place of screen time. Do them with your children. Play games, do crafts, go to the library, and go fishing. There are many activities to share with your kids. Ask them what they want to do, too. When your children help with choosing the activity, they will want to be more involved. This kind of goes along with doing activities with your children, but it still needs to be said. Spend time talking with your children. Ask them how their day was and what’s going on in school. Spending time in conversation shows your kids that you care what is going on in their lives. Furthermore, don’t just drop off your kids at their activities. Stay for practice or even volunteer to help at practices. Most community sports leagues are looking for parent volunteers to help out with practices and games. Suggest that your child reads a book before bed instead of watching TV. Did you know that 2/3 of kids who can’t read proficiently can end up on welfare or even in jail? Your children will learn more from a book than a 30-minute television show, and you are preparing your children to engage in far deeper conversations than those about TV shows. Don’t skip out on the family meals. Instead, try to eat all meals together, as much as possible. Avoid having the TV on during mealtimes. Take advantage of mealtimes to talk with your kids, about their lives, and even yours. Don’t allow screens in your vehicle. Instead, have a family conversation or sing along to the radio together. Take advantage of the time you have with your family while traveling in your car. Remove all the TVs from the bedrooms. This is a sure way to reduce screen time. 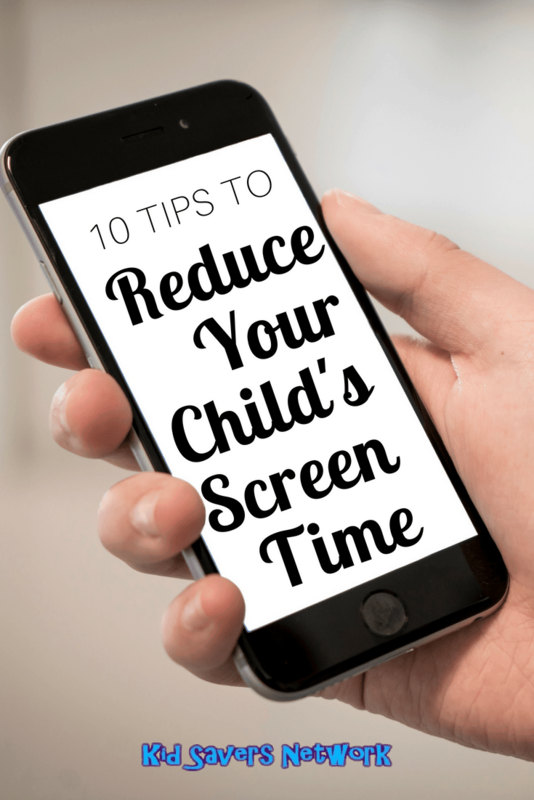 Plus, it’s a good way for you to enforce your screen time limits. 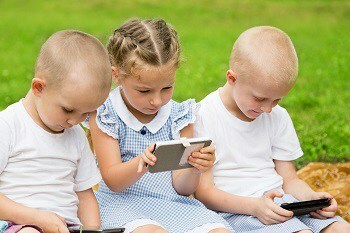 Furthermore, do not allow for your children to take their cell phones or tablets to bed with them. They’re sure to sneak on these smaller devices when you are not paying attention. Be aware that screens of any size will contribute to keeping your child awake at night and not getting the quality sleep which they require to function the next day. Don’t give in to your kids no matter what! Make your plan, set your limits, and stick with it. You will get resistance at first, but in the end, you are teaching your children to think for themselves, to learn about new things, and to participate in the world around them. Limiting your children’s screen time might seem to be an impossible task at first. However, it is worth the fight. Start small if needed. Then, once your kids become more active in other activities, it will be easier to implement your strategy. You will see, and so will your kids, that once the screen is off, it becomes easier to keep it off, for good. There is a great website called Screenfree.org which has the latest reseach and printable fact sheets.